Install autopilot control head in binnacle pod (will replace old ST4000). This is not a project for the meek. From what I understand pros could charge up to $5K labor for this type of job. There is quite a bit of custom fabrication. 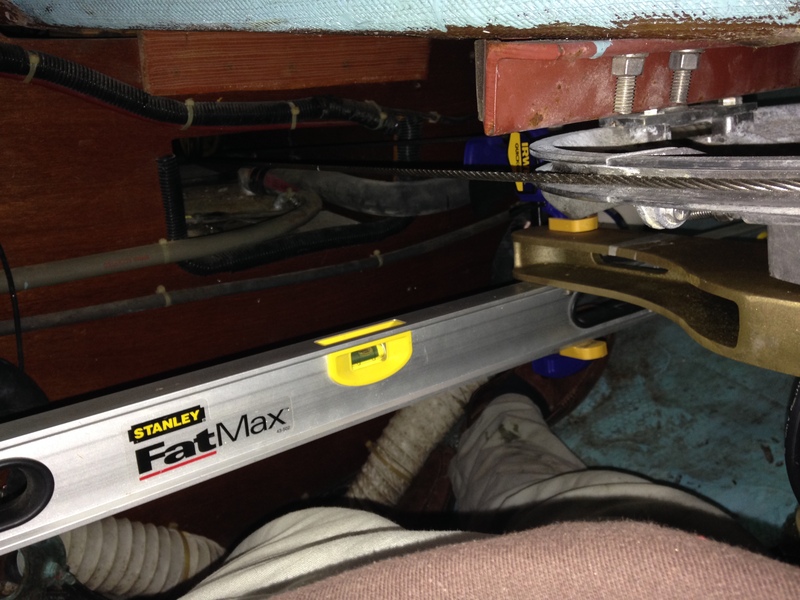 If you have a typical quadrant/cable steered boat then you will probably need a linear drive and tiller arm. There are some quadrants designed to have linear drive attached but my Edson quadrant is definitely not one of these. It is aluminum and not designed to be subject to point load forces from a ram. There are a few choices in autopilot tiller arms. I decided to go with the Edson bronze arm. It is not cheap but it is one fine piece of bronze alloy. 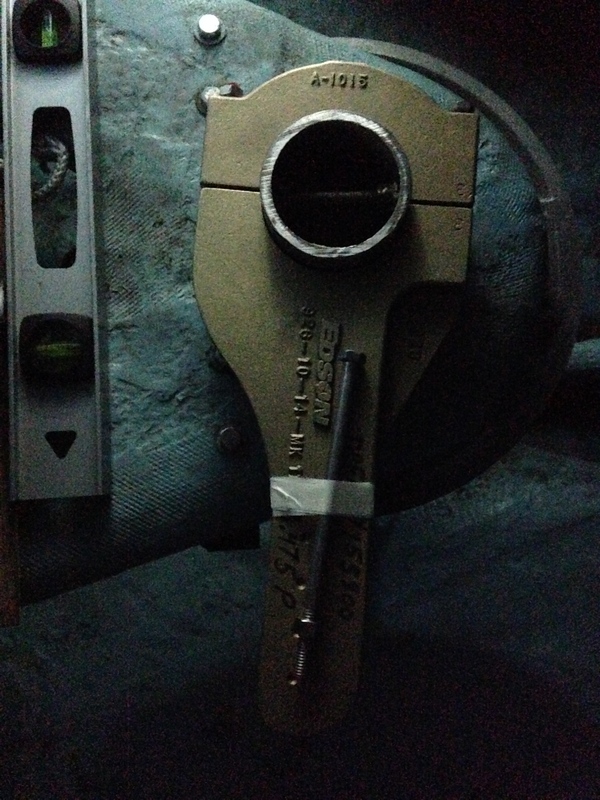 Edson will custom bore it for the rudder shaft diameter. The Sabre 36 factory spec for my boat is 3.475″. 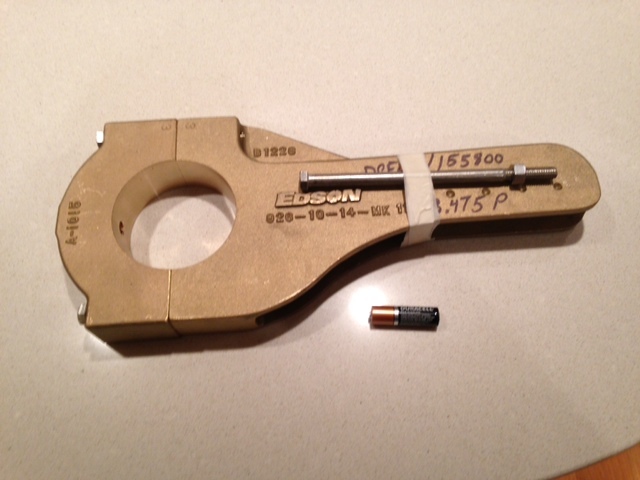 I used a micrometer to double check and found it to be within .003″ at the top so I went with the factory spec. It fits perfectly. Required a twist to work it on and snugs together when the clamp bolts are tightened. One fine piece of bronze. Took about a week to get from Edson. 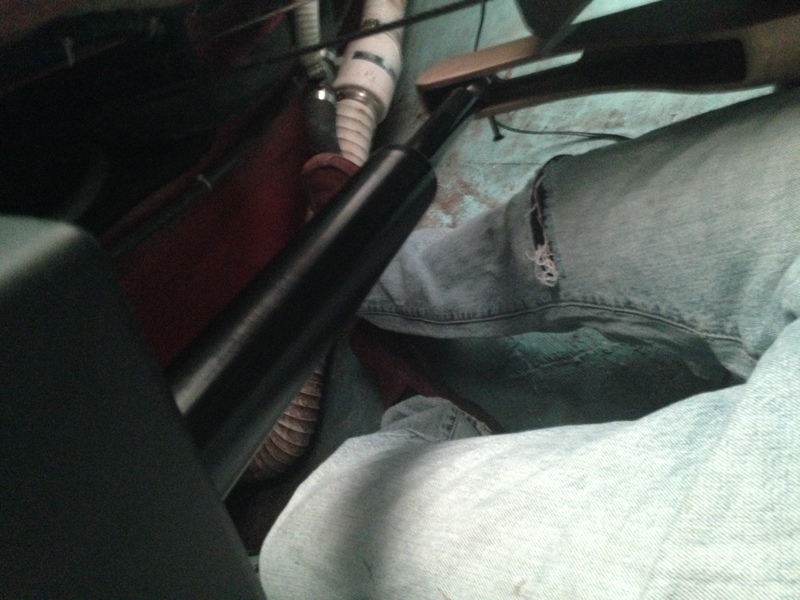 Because I have hollow rudder shaft and no keyway I went with the through bolt. For the linear drive I choose a Raymarine Type 1 Linear drive. When shopping around you have options for hydraulic and mechanical drives. I went with the Raymarine Mechanical for a number of reasons: low power consumption, widespread usage, flexible mounting options and flexible installation tolerances. It also has a decent manual. I wanted to tackle the drive install first. The Sabre 36 has a fairly cavernous area aft of the helm. 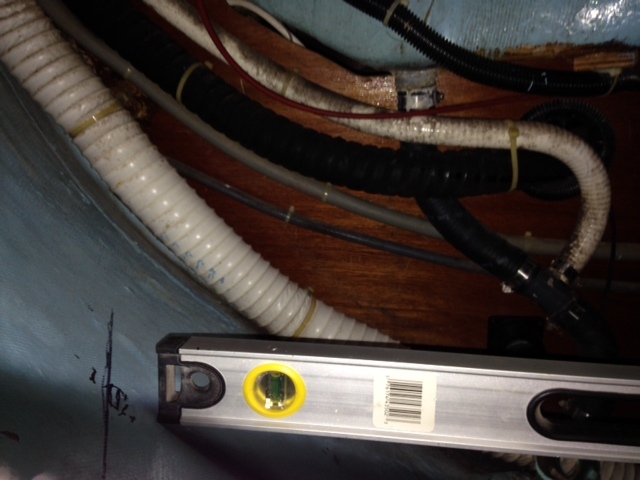 I can lower myself completely into the lazarette and get good access to the rudder shaft and the mounting surfaces. I spent some time in there visualizing the work and decided to install the drive on the port side, perpendicular to the center line. The arm will be installed facing forward. The drive will be mounted to a wedge tabbed into the hull. After the measuring was complete. 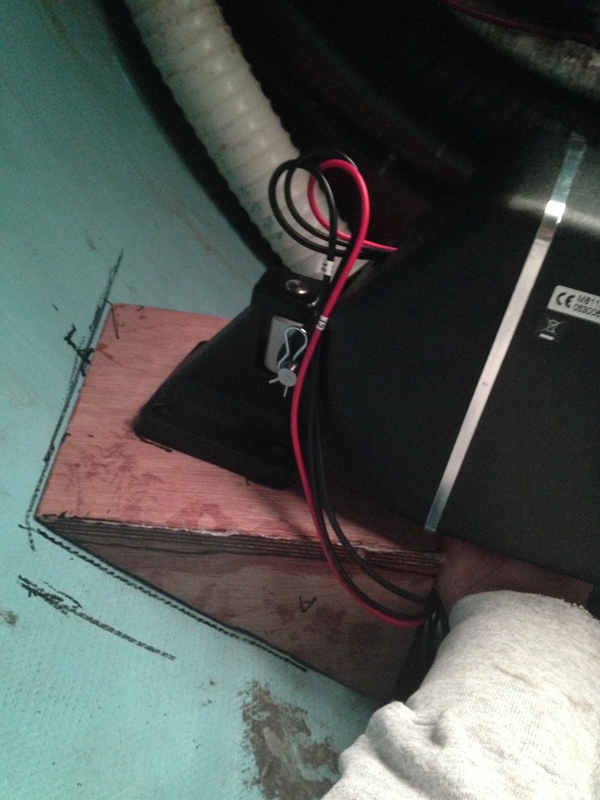 I did some scribing and built a wedge shaped platform using 1/2″ meranti marine ply. This will be built up and tabbed in with west system and glass cloth. Trying to keep the drive mid-extension for final dry fitting. Finally I was ready to start thinking about adhesion. I decided first to install a mini-stringer to give the platform more attachment surface and stiffness. 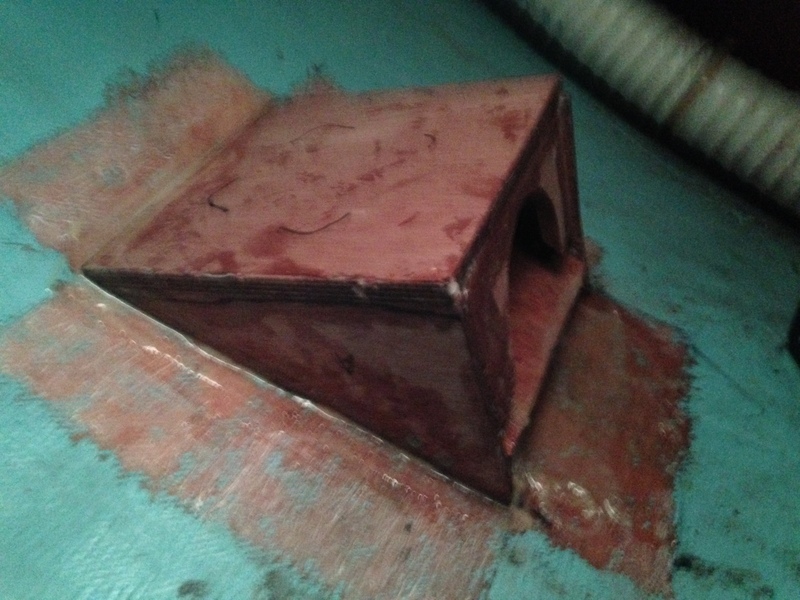 The old paint and surface roughed up with a Multi-master and carbide grinding tip. Stripping paint and roughing up the glass. 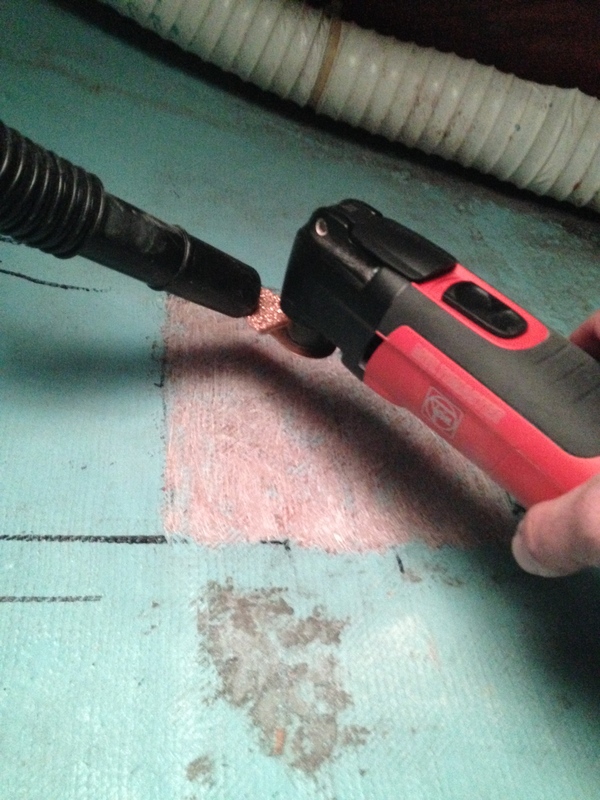 Using a vacuum to minimize dust in the boat. Platform bonded to hull plus 4 #10 screws into stringer. More tabbing coming soon. 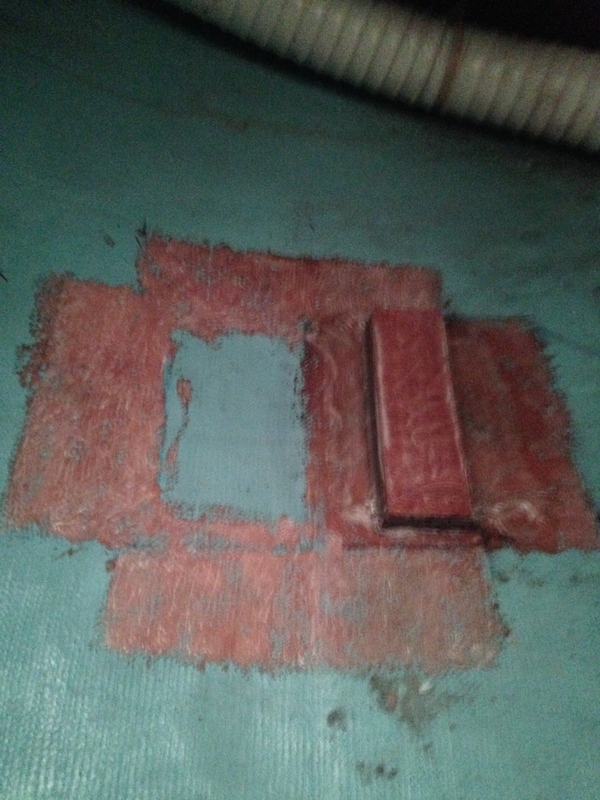 Inside has been stiffened with a layer of cloth and west system before installation. All bonding with done with West System and High Density bonding filler. All tabbing done with no fillers. 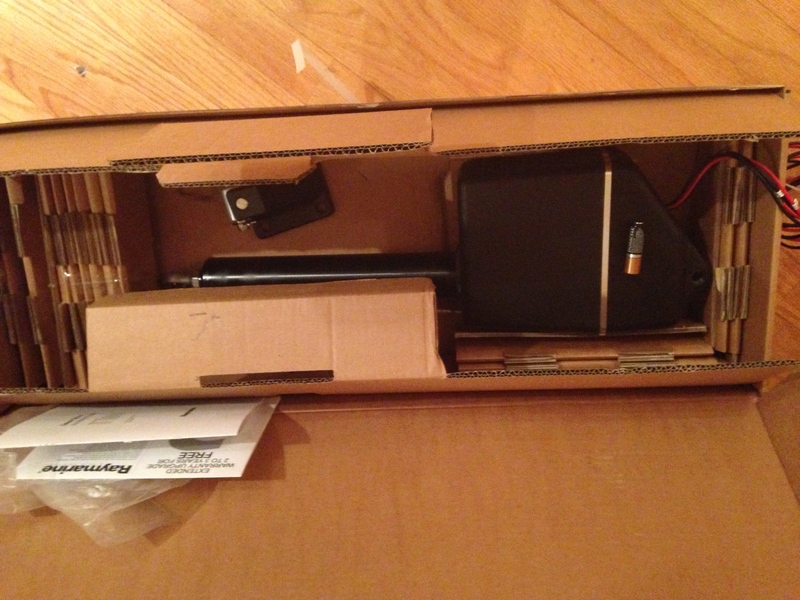 This entry was posted in diy, sailing, Uncategorized and tagged autopilot, diy, sabre, sailboat on March 4, 2014 by Boat Nut.